I listen to a lot of audio—probably at least 15 hours a week. And when people ask me about how to get started with listening to podcasts, these are the four I always recommend. Patrick’s background in journalism really crystalizes the excellence of this show. Risky Business is an information security podcast by Patrick Gray, and it’s really quite phenomenal. The thing I like most about his podcast is the combination of its quality content and crisp organization. The analysis is extremely sharp, and the production style keeps you moving through the show very quickly. The best pure-play security podcast, by far. I dislike recommending my own work, but it really is completely different from the others in the list. 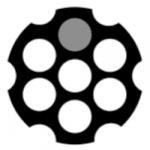 Unsupervised Learning is my podcast, and where Patrick’s podcast is pure security, mine is focused on how security and technology interact with humans—both now and in the future. I basically spend 5-20 hours a week collecting the best content in all three of those areas and give you a super quick overview—with a dash of analysis—in 15 to 30 minutes. 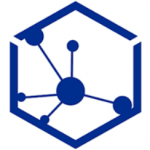 Someone curates the best stories in security, technology, science, and humanity for 5-20 hours a week—and then presents them to you in 15-30 minutes. The focus is largely on Silicon Valley, but it’s really the entire tech world. 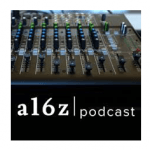 a16z is a brilliant podcast that centers around emerging technologies and the trends surrounding them. It’s created by Andreessen Horowitz, which is an investment group based in Silicon Valley, and the hosts and guests are just phenomenal. I hardly ever listen to an episode and don’t come away with new ideas and information. The pulse of the most innovative tech startups and ideas in the world, with special focus on the Silicon Valley. This is the most different from the others, but in a good way. 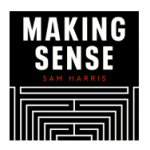 Making Sense is a podcast by writer and neuroscientist Sam Harris. Sam brings on the top intellectuals and innovators in the world and talks with them deeply about their work and the ideas around it. You’re likely to hear about the best new books from this show. I’ve corresponded with Sam for years on various topics and I believe him to be the most thoughtful and articulate intellectual alive right now. The #1 podcast for people who enjoy listening to high-quality intellectual conversations with the smartest people in the world. Expanding from this set depends on whether you want go go more security, more tech, or more intellectual. I have separate recommendations for each. 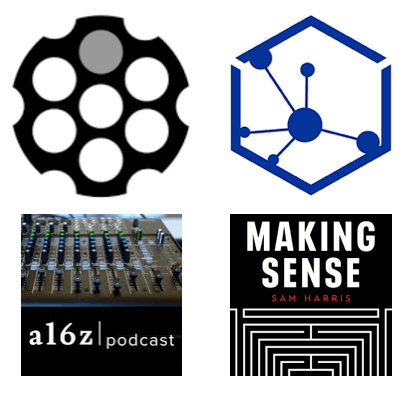 You can add others to this list of course, but for me this is the minimum essential mix of security, tech, and intellectual content you can currently get in podcast form. So whether you’re just starting out, or your podcast list has become a garbage fire, this is the go-to set. Risky Business for pure security. Unsupervised Learning for how security and technology interact with humanity. a16z for the tech and startup world. Making Sense for intellectual conversation.